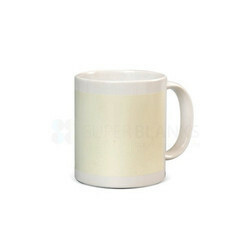 We are a leading Manufacturer of silver mug 11 oz., golden mug, glow in dark mug radium, 6oz color inside mug with handle color, 17oz latte mug and 11oz color inside mug with handle color from Mumbai, India. 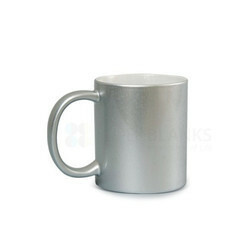 Silver Mug 11 oz. is used for giving gifts in birthday parties. Cappuccino is going to be in a 5 to 6 oz. cup.These are all at most cafés, ceramic, but you can drink it out of a glass, you can drink it out of paper. 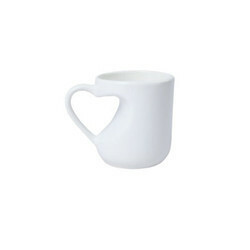 Color inside handle color mugs are perfect when you need to match images and themes to the color of the mug. These vibrant mugs are also known as Three-Tone Mugs. Add flare to the standard white mug with an accent of color on the inside with the most popular size and high selling sublimation mug. The sublimation-ready surface allows full-color and full-wrap image reproduction on the bright white outer surface making it attractive. These mugs are coated with our super white sublimation coating allowing images to be brighter and more vivid for printing beautiful full colors with sublimation having sturdy walls for safe, durable use. 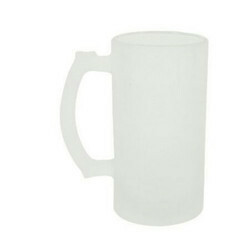 With added advantage of dishwasher and microwave safe, our mugs are quality and food grade approved by SGS. Available colors are Red, Green, Blue, Light blue, Yellow, Orange. Color inside mugs are perfect when you need to match images and themes to the color of the mug. 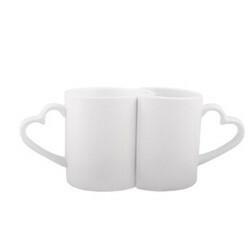 These vibrant mugs are also known as Two-Tone Mugs. 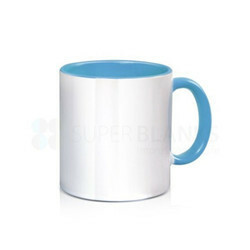 Sublimation White Mug is a classic collection that is presented by our organization to our clients. 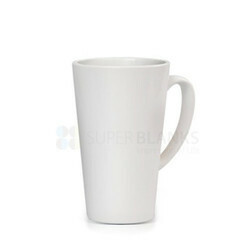 This white mug is used for varied promotional events and offers ample area of branding. A square is a shape with four sides that are all the same length and four corners that are all right angles. We are India's largest sublimation blank supplier, and we continue to take the lead in shaping the Indian sublimation gift industries' landscape, with the introduction of leading-edge heat press machines packaged for ultimate gifts articles and at the lowest life-cycle costs. 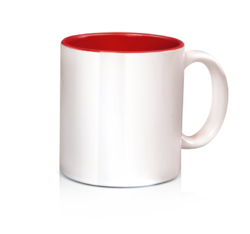 Take your mug business to the next level with Glass Sublimation Mugs specifically coated for sublimation printing. The smooth glass finish helps bring out the most subtle color and detail Each is finely-crafted from high quality material for a unique presentation sure to gain attention. 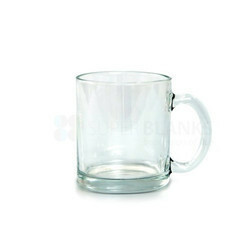 Glass mugs offer an interesting alternative to standard white sublimation mugs. These mugs have the same quality sublimation coating as White mugs and are of high quality, dishwasher safe (top rack) and microwave safe, for sublimation printing only. You can use the sublimation surface to create mugs with beautiful imagery or business logos. Great for parties and any occasions! The colour changing mug makes a magical experience when filled with a hot liquid with the printed image slowly appearing on the mug making it attractive.It is a high quality premium grade polyester coated ceramic mug with gloss finish for use with Sublimation or Laser printing. These mugs are coated with sublimation coating allowing images to be brighter and more vivid for printing beautiful full colors with sublimation and having sturdy walls for safe, durable use. 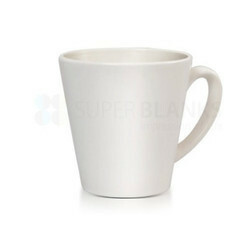 With added advantage of dishwasher and microwave safe, our mugs are quality and food grade approved by SGS. The colour changing mug makes a magical experience when filled with a hot liquid with the printed image slowly appearing on the mug. 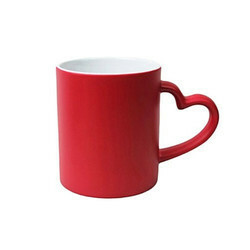 With a heart shape cut out on the mug, it makes it attractive.It is a high quality premium grade polyester coated ceramic mug with gloss finish for use with Sublimation or Laser printing. These mugs are coated with sublimation coating allowing images to be brighter and more vivid for printing beautiful full colors with sublimation and having sturdy walls for safe, durable use. 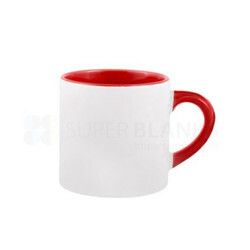 With added advantage of dishwasher and microwave safe, our mugs are quality and food grade approved by SGS. 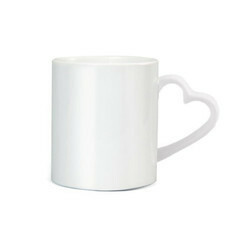 The colour changing mug with a heart handle makes a magical experience when filled with a hot liquid with the printed image slowly appearing on the mug making it attractive.It is a high quality premium grade polyester coated ceramic mug with gloss finish for use with Sublimation or Laser printing. These mugs are coated with sublimation coating allowing images to be brighter and more vivid for printing beautiful full colors with sublimation and having sturdy walls for safe, durable use. With added advantage of dishwasher and microwave safe, our mugs are quality and food grade approved by SGS. 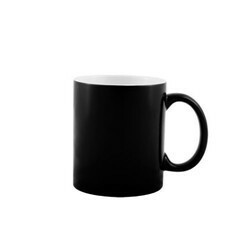 A favorite among sublimation customers, black mugs with white patch are bold, exceptionally modern and add a creative twist to mug customization. The convenient white patch makes sublimation possible and results in true to color, brilliant transfers. 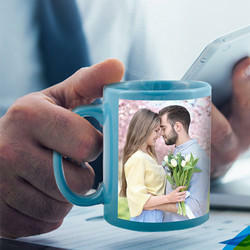 Get the look of a full colorful mug with an image transfer through sublimation printing. 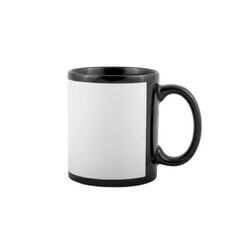 These mugs come with a white patch to imprint your image of choice does a good job at contrasting the design against the colorful finish of the mug. These mugs are coated with quality sublimation coating allowing images to be brighter and more vivid for printing beautiful full colors with sublimation and having sturdy walls for safe, durable use. 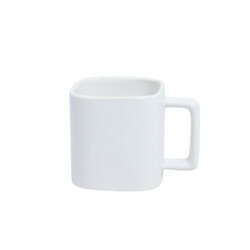 With added advantage of dishwasher and microwave safe, our mugs are quality and food grade approved by SGS.